Despite recovering from a hip injury, American midfielder Jonathan Spector has signed a three-year extension with West Ham United. According to Spector, West Ham had been renegotiating his contract since last season and promised to get a deal done after he returned to training. The American international told ESPNSoccernet:"I appreciate their confidence in knowing I'm going to be making a full recovery and knowing I was doing everything I could possibly do in the U.S. for my rehab to make it back. I've certainly enjoyed playing for West Ham and it's somewhere I want to be. I feel I have some things I want to accomplish at West Ham, and I was happy that the club gave me the opportunity to do that.". Spector has been struggling with a hip injury since the end of last season. The injury has caused him to miss several international friendlies, including the England match at Wembley. The 22-year old had a torn labrum causing him to have surgery in June and miss out on the Beijing Olympics. Although he was expected to be out for three to six months, Spector recently started practicing again. However, he says that he doesn't want to rush any comeback. Injuries are nothing new at to the Hammers. 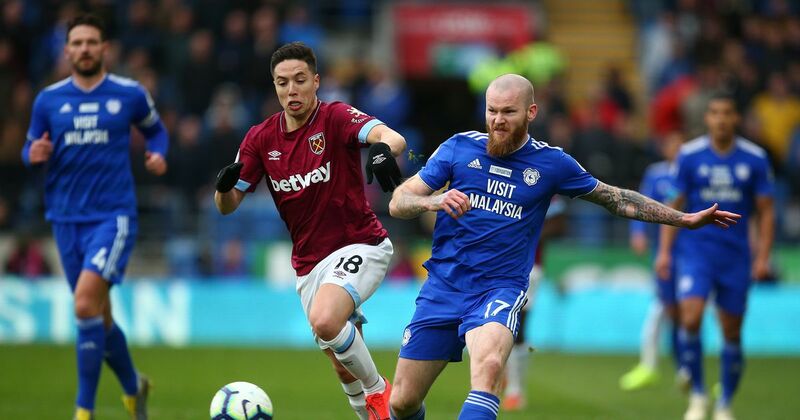 Key players - including strikers Dean Ashton and Craig Bellamy and midfielders Scott Parker and Kieron Dyer - have missed chunks of time in recent seasons. Spector is an ambitious player. Among his personal goals, he hopes to become a first-team regular and help the Hammers qualify for Europe. West Ham currently sits at fourteenth on the league table with one point above the relegation zone. According to him, West Ham's fortunes could change with former Chelsea star Gianfranco Zola. Since Zola's takeover, the Hammers have a 2-5-1 record. In their last match on Saturday, West Ham lost to Everton 3-1. Spector said: "He's had an impact on the club since he's returned to English football, and I think it's a positive impact. I know the results as of late haven't been what we want, but just in terms of the way the team is playing, I think we're playing much better football, and I think that in the long run it's going to pay off."